Chic and modern. 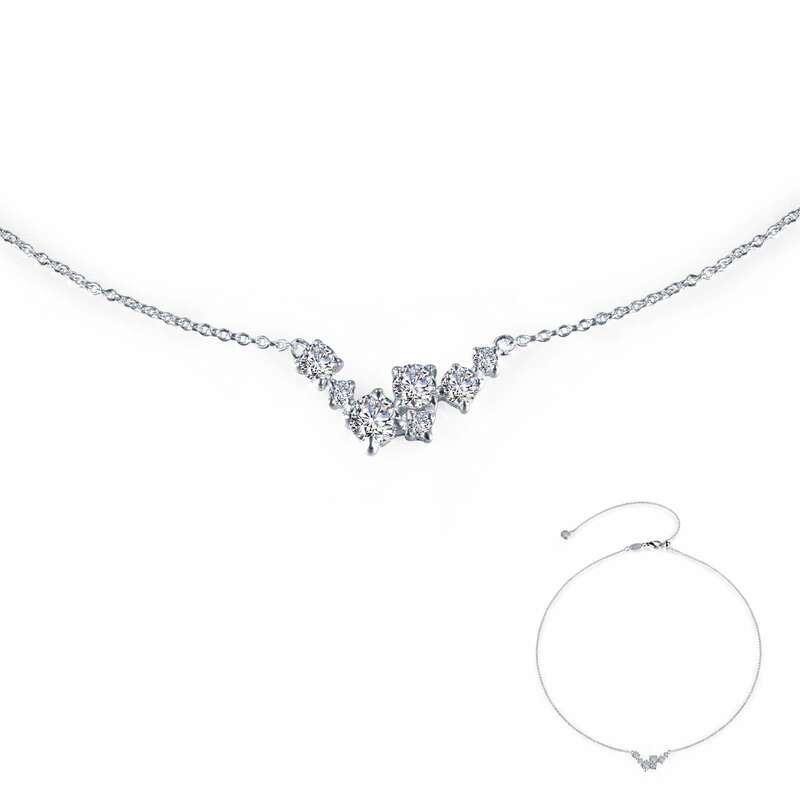 This adjustable 7 Symbols of Joy choker necklace features 7 Lafonn's signature Lassaire simulated diamonds arranged in a star-speckled night sky design. The necklace is in sterling silver bonded with platinum.